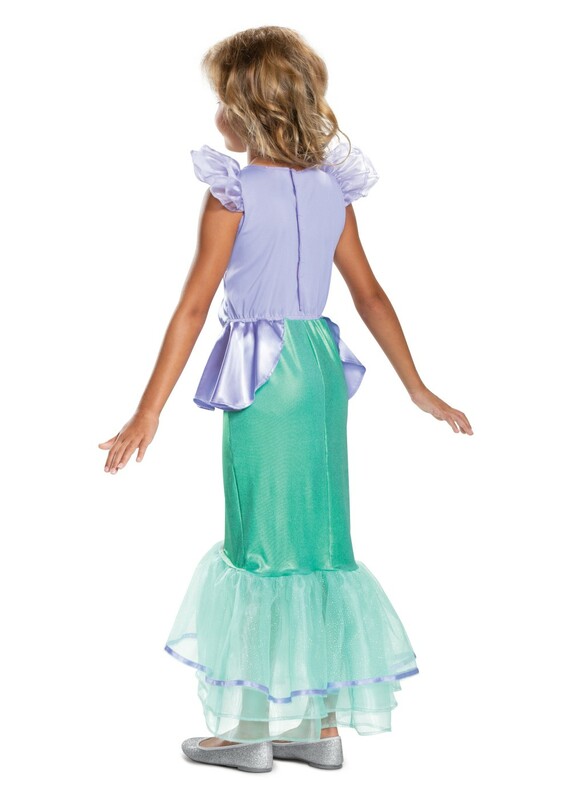 The Ariel Classic Costume for girls comes with a dress that is designed to be a take on Ariel's appearance in the film The Little Mermaid. 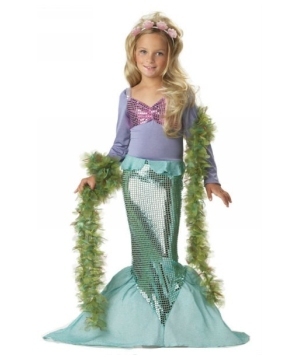 The costume will not be including any shoes or other accessories with your purchase. 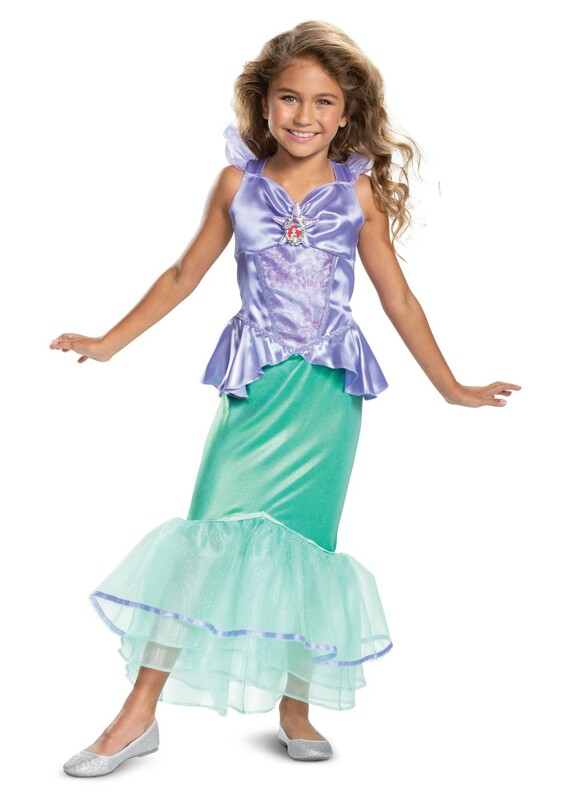 The Ariel Classic Costume for girls is currently available in these girl's sizes: Toddler (3T-4T), Small (4-6), and Medium (7-8). 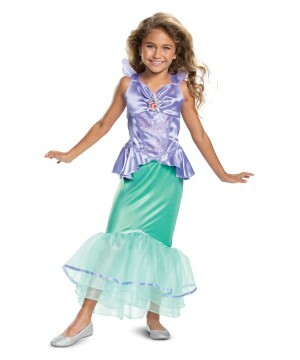 Ariel is known to be the seventh and youngest daughter of King Triton and Queen Athena of Atlantica, a kingdom undersea. 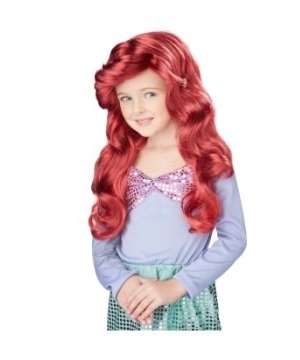 Ariel always wondered what it was like to live like a regular human and often had an admiration for human life on land. 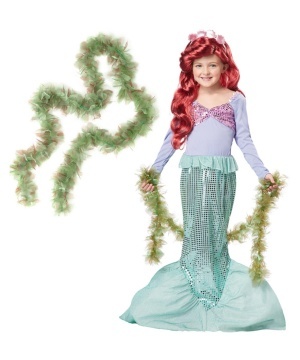 So let your daughter become the oceanic princess with the purchase of this Ariel Classic costume for girls! 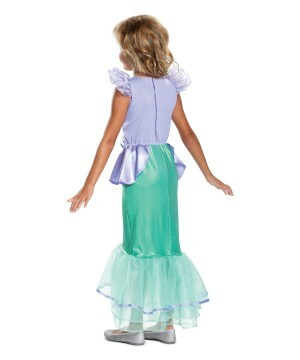 Review(s) for " Ariel Classic Girl Costume"